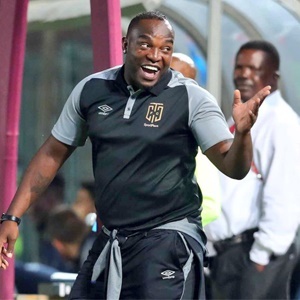 Cape Town - Cape Town City coach Benni McCarthy has challenged his side to bounce back from the defeat to Kaizer Chiefs in the Nedbank Cup quarter-finals last Sunday. Chiefs beat the high flying Citizens 2-0 thanks to strikes from Hendrick Ekstein and Dumisani Zuma at the Mombela Stadium in Nelspruit. With that said, the Citizens are still enjoying a terrific season having already secured the MTN8 title. In addition, City are still in the Absa Premiership title race as they trail leaders Mamelodi Sundowns by just four points. They are set to take on Golden Arrows on Saturday at the Sugar Ray Xulu Stadium in Durban (15:00 kick-off). McCarthy said: "I am concerned because you know these opportunities sometimes can have a negative effect in the next two games. "Because last season I experienced it perfectly well, but you know I think it will be a shame if these boys surrender now what they have worked so hard for. "We don't need to throw away a whole season of hard work, getting praise from the media, from the opposition fans, the football that we played. "Most of them were not being given a chance wherever they were prior to coming to Cape Town City and now they come here and they've done amazing, and because of a performance where we weren't at our best, but now they must remember that wherever we're going, whenever we play away we know we can play. "If we lost to TS Galaxy, Cape Umoya I could have understood if they drowned their sorrows in the water, but we didn't lose to any of these teams we lost to the cup specialist. "You know Kaizer Chiefs is known, they are a big team. They might not go through their best moments but people mustn't forget it's Kaizer Chiefs we are talking about, the most successful club in the country when it comes to winning cups. "And they've got an experienced coach who knows a thing or two when it comes to discipline and how to maintain discipline and being level-headed. You know we didn't lose to any team we lost to a damn good Kaizer Chiefs. "We will shake it off, and we will work towards Golden Arrows. In the league we are still sitting nicely and it's still close for all four teams, so we can't surrender just because we lost in the Nedbank Cup."